Back in the day I used to spend lots of time setting up slot car and Hot Wheels tracks. The thing I remember most was how different Hot Wheels cars would perform differently on certain tracks. I had my one favorite Hot Wheels car and it was a heavy van with really fast spinning wheels. It was the fastest on most of my tracks. 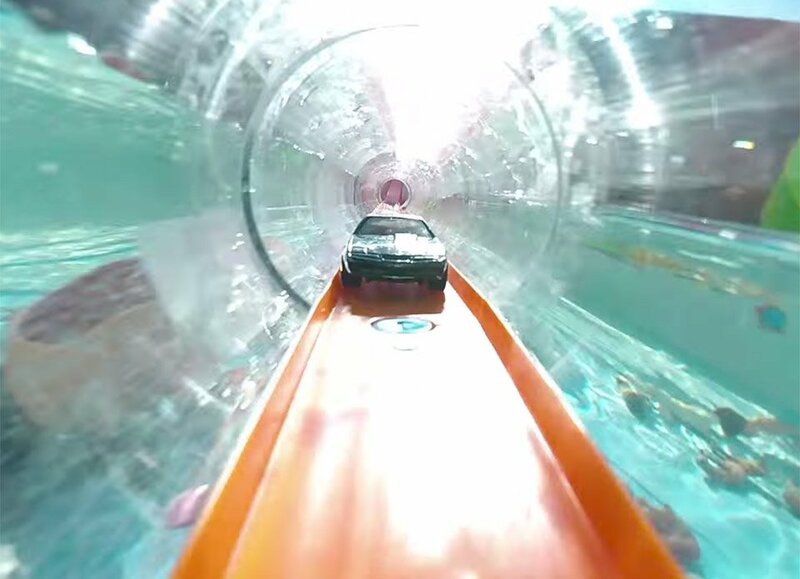 Rocket scientist and YouTube celeb Mark Rober built a massive Hot Wheels track and raced a bunch of famous vehicles from movies and TV shows on it. The track runs all over his yard, through a swimming pool, a doghouse, inside his living room, and defies physics on occasion, but it’s all in the name of fun. The video is about 6 minutes long and worth a watch. It will bring you back to your childhood, and makes me miss my orange track.